You must make reservations at least 5 minutes in advance of the time at Mot Hai Ba Vietnamese Cuisine. PLEASE CALL FOR RESERVATIONS OF 8 OR LARGER, AS WE HAVE LIMITED SPACE. 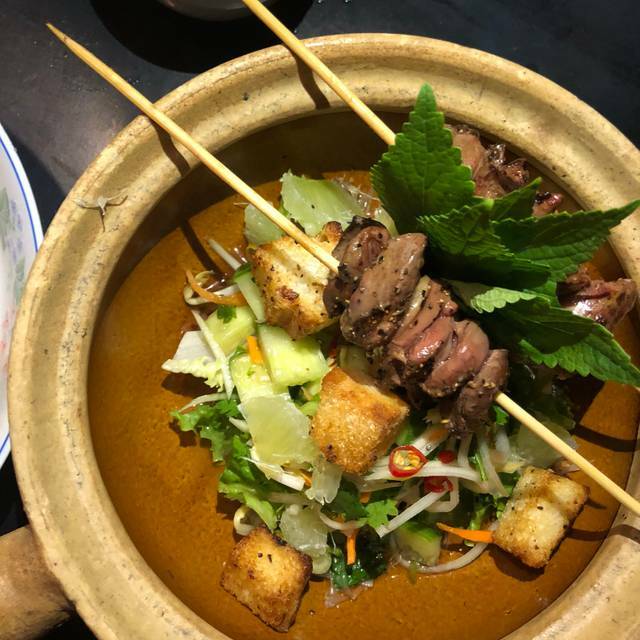 Located in a well-known spot in the Lakewood neighborhood, Mot Hai Ba (1-2-3 in Vietnamese) is a widely recognized restaurant serving both fine modern Northern Vietnamese cuisine in a casual setting. Given Four Stars by Leslie Brenner of the Dallas Morning News. 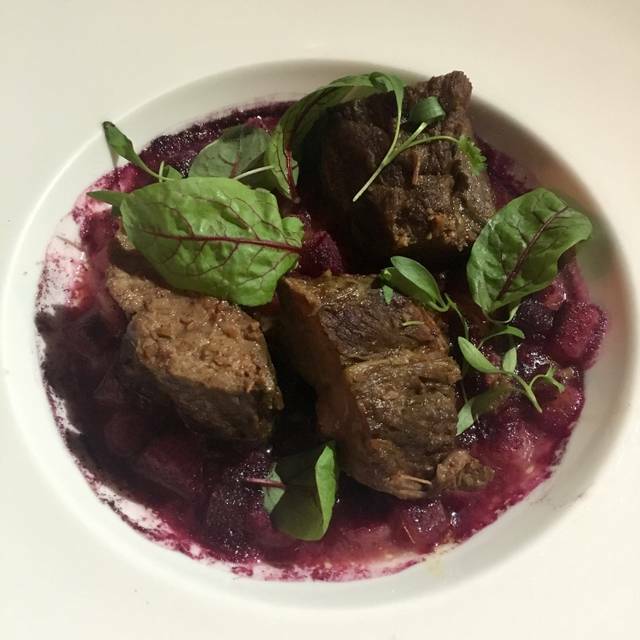 The menu changes regularly and features seasonal dishes as well as Chef Peja Krstic's imaginative specials. Dinner Only. Cozy front room and a lovely patio. Cocktails and full bar. Service impeccable. Menu varied. Specials some unavailable. Beef and noodles and Brussel sprouts were delicious. Pork rice dumplings was odd texture. Overall lovely porch and awesome cocktails . The red snapper was one of the best fish dishes I’ve ever had. Love this place..Food is phenomenal service is 1st class.... what more could you ask for?? 5 stars all the way!!! From the get go the staff seemed un-interested in being helpful. We asked questions about the food and decor and was told, "the decor was this way when the new owner took over. No idea why it's this way." Was told the food was "modern Vietnamese and self explanatory." Female guest has a cucumber allergy. Yes not the best place to choose but was told from the beginning that could be accommodated. It was not. The water with cucumber, as well as the fried oysters with cucumber did not leave us feeling good about her not becoming sick after this meal. All in all would not come back here which is truly a shame. The food is delicious. 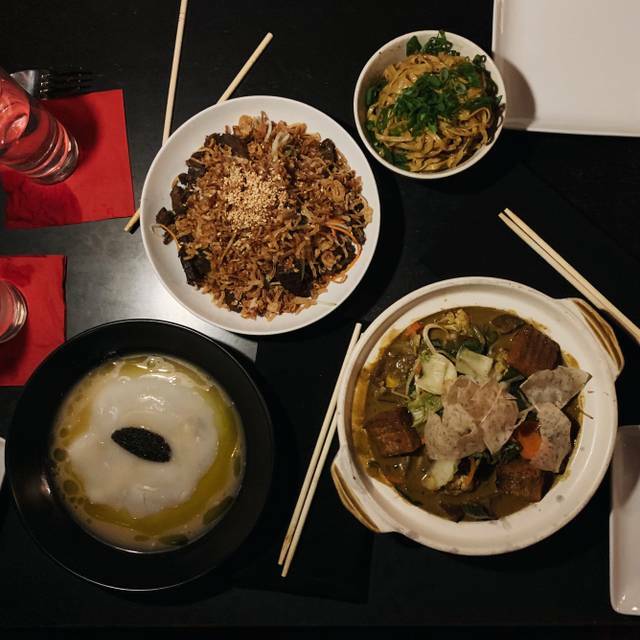 This is not your typical Vietnamese restaurant. More fine-dining, unique flavors and approaches. Keep in mind that they seating is communal - so if you are a group of 4 you will have 2 people added to your table. It was fine with us, but if you were planning a private, romantic dinner, it is good to know this. Service was so friendly and helpful and the food and drinks were excellent! Excellent service and delicious food. A lot of complex flavors. The restaurant has a very engaging staff and environment is cozy. Definitely a neighborhood jewel. We hope to return soon. It was our first visit to this gem. Everything was excellent, and we plan to return soon. Trudy was our server, and she was outstanding. She guided us with perfect recommendations throughout the meal since it was our first visit, and we had a large group. 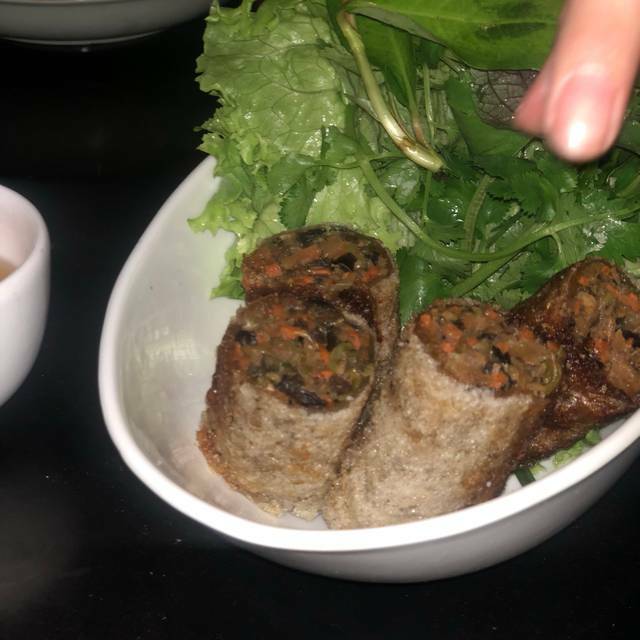 One of our group is vegan, they were very accommodating in having several dishes allowing for tofu substitutions in addition to the standard menu items. No need to list all the food choices we experienced since we ordered many, but suffice to say they were all amazing. Well done, Mot Hai Ba, well done! The ambiance and service are both awesome but the food is amazing! We sampled numerous appetizers, main dishes and dessert and everything was outstanding. The flavors are very unique and fresh. One of my favorite restaurants in Dallas. 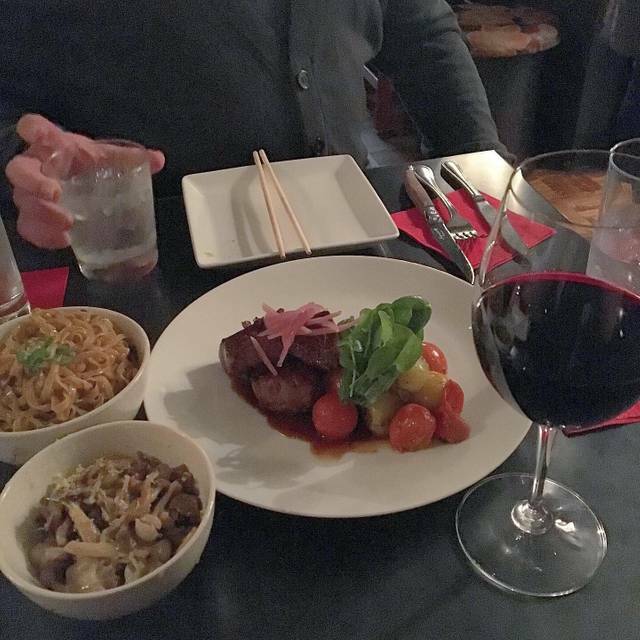 The service, food, and ambiance make for a memorable night. Excellent restaurant..food was awesome...service great a real stand out!! This review is long overdue as this is one in the top 3 of restaurants for me in Dallas. I've been comin since they opened. I have spent a lot of time in Vietnam, and had some really great nouveau and traditional foods. It is a very vibrant food culture. 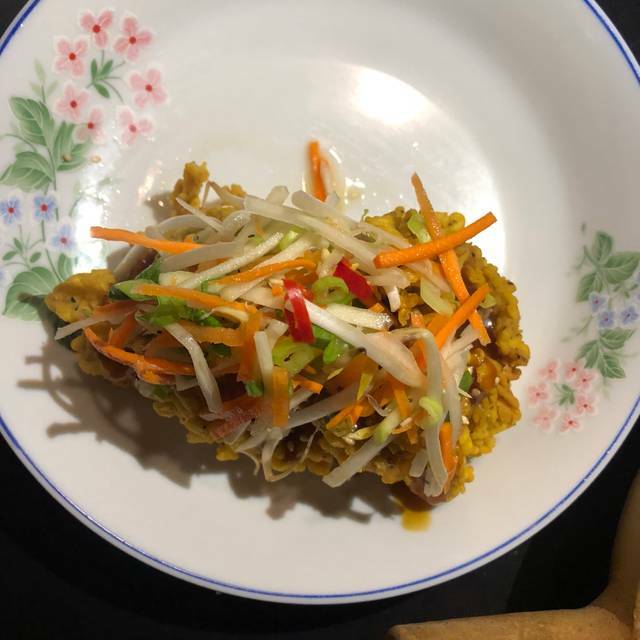 After eating to Mot Hai Ba, I was really surprised at the authenticity, quality of ingredients and "deconstruction" of some classic dishes without sacrificing true taste. I was even more surprised to learn the Chef was not Vietnamese. Dishes: Banh Xeo (Vietnamese Crepe with Shrimp) - this is one of my favorite Vietnamese dishes overall and his is the best in town. His Pho isn't on the menu, but it is great to taste without the typically MSG loading up most Vietnamese restaurants use - a totally pure flavor. The Bo Luc Lac - deconstructed but amazing. All dishes seem to have curated ingredients that are carefully selected and fresh. The oysters ... and the specials are always good. Most important is the humility and sincere interest the Chef has in his food and service. He often is personally and concurrently in the kitchen and on the floor. This is my escape in Dallas - the ambience and non-pretentious environment takes me back to many other cities. Must try. Must repeat. Must share. This is a neighborhood gem! Food is delicious and innovative. Dishes are beautifully plated. One of our favorites. Always a pleasure to dine at Mot Hai Ba!!! From start to finish, every bite was incredible! The texture and flavors of every dish were perfect... tender lamb and perfectly seared, succulent flounder. Pig head cheese from our farm's pig... amazing. We couldn't have had a better experience... food, drinks, company, hospitality. Thank you, Mot Hai Ba! We arrived about an hour late from our original reservation. The manager accommodated us and got us seats at the restaurant - it is rare to have restaurants make such adjustments especially after an hour delay. The staff was quick with their food, and it was delicious as always! Amazing as always. One of my very favorite spots in Dallas. Outstanding food as usual. While I had to wait 20 minutes for my reserved seats when I arrived, the staff was considerate and helpful with the situation. Duck hearts were fantastic and the Whole fish was perfectly cooked and flavorful. We have eaten at Mot Hai Ba about half a dozen times now and it impresses each time. Trudy was our server this time and was super competent, helpful, pleasant and professional. One member of our party of four had the straight-from-the-butcher pork dish and was awed. Others had quail, shaking beef and eggplant. This is one of our top five restaurants in Dallas. Oh, and the garlic noodles are as good as everyone says they are. The food is always amazing and the service is top notch. Absolutely a must eat in Dallas. This place is a magical, intimate spot perfect for date night. The grilled duck hearts have a bit of smoke, a bit of chew and perfect amount of flavor while the blue crab salad has a generous amount of acid, an occasional super hot spice from the Thai chili but then soothes all with the flavor and crunch of cucumber. I highly recommend this place, and encourage you to try off the beaten path menu items like the duck hearts and lamb neck. Delicious food inspired by Vietnam. Key word is inspired! Small place so expect to be seated at the same table with other parties but it’s a hole in the wall place that is worth a visit. Service was great! This is a favorite for special occasions. 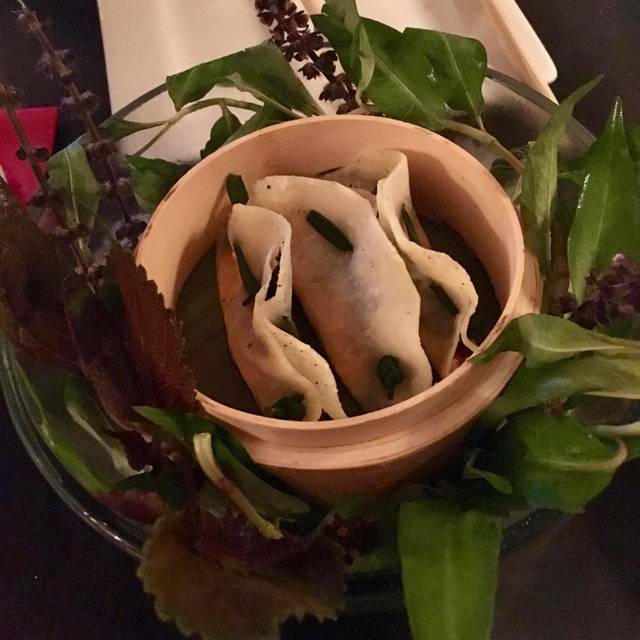 I have only had a delightful time at Mot Hai Ba - the food and service is unsurpassed. Everyone is friendly, and the menu is always exciting. My husband and I (as well as our friends) are delighted with this charming restaurant. Dallas is lucky to have it. Excellent food. Good value . 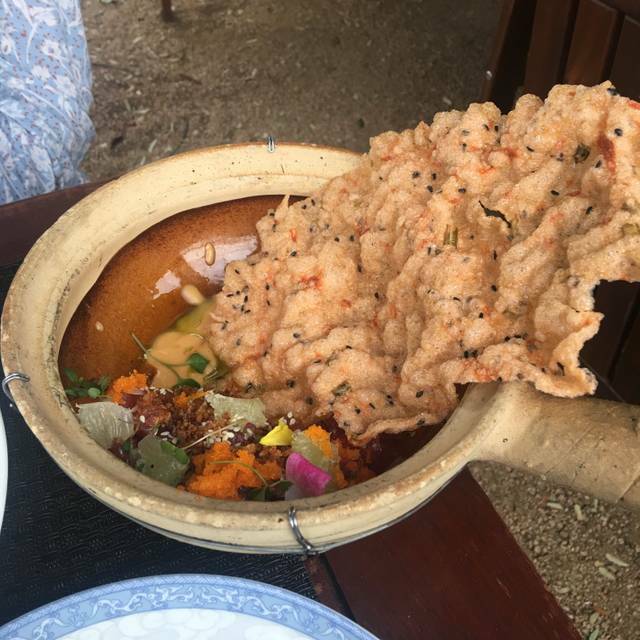 Delicious, unique dishes and cocktails. One of my favorite dining experiences in Dallas if not the top. Had the duck heart salad appetizer, lamb neck, sticky rice with pork and caviar, and garlic noodles. Can't wait to go back! I love the feel and atmosphere of this place – it was beautifully designed and it's so fun to share a table with other guests! We love everything we ordered! 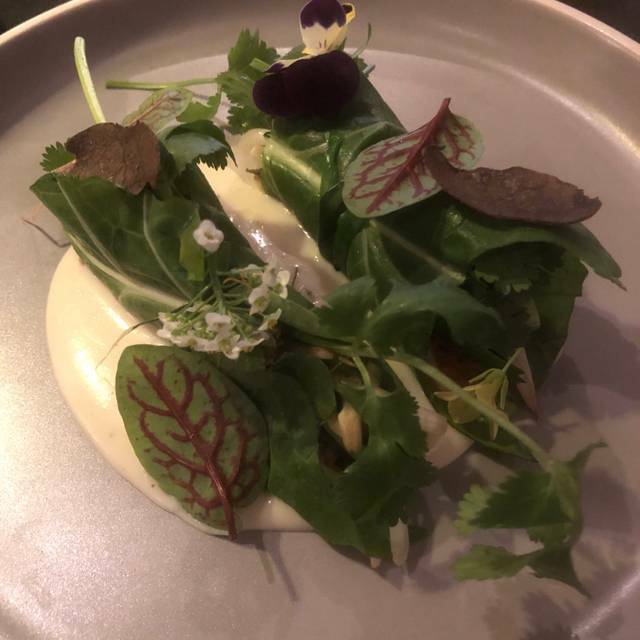 I definitely would love to visit again to try more dishes. Our waitress was really kind and the food came out very timely. Order the garlic noodles...actually, order two servings! They are yummy and you WILL want more! Dinner was amazing! It’s definately one of our favorite restaurants in Dallas! Garlic Noodles, Imperial Rolls, Steamed Bun, Flounder...all are must try’s when you go! Food or cocktails, never had anything I didn’t like or love here. Nice folks too. I was disappointed that the food was not as good as the reviews led me to expect. The restaurant is a small, atmospheric dining room that is not hospitable to any but very able bodied people who are on the small size. The food is interesting, but the flavors not distinctive enough. One of the best meals we’ve had in a long time. Delicious food, great service, perfect ambiance. We can’t wait to go back! One of my favorite restaurants in Dallas. We come here at least once a month and have made it a point to always order the specials, and of course, the garlic noodles. I think the chef should be nominated for a James Beard and if Michelin ever comes to Dallas they should add Mot Hai Ba to the list. One of Dallas's best - so fresh, so tasty. A great neighborhood (and city!) spot.